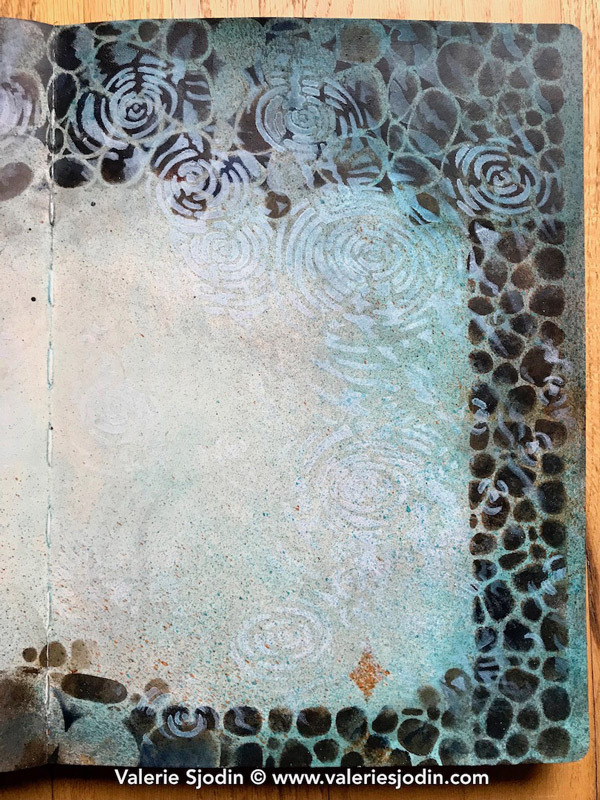 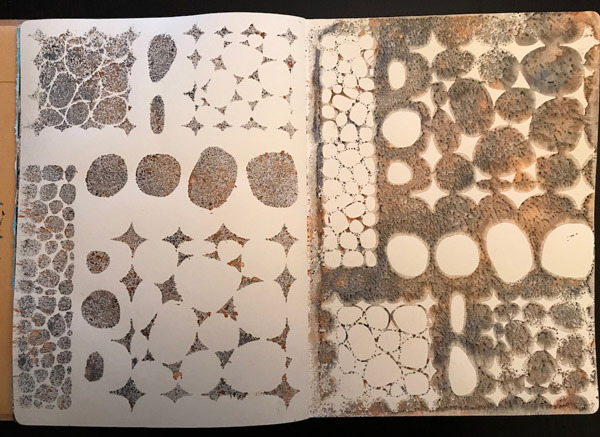 You could hardly go wrong art journaling with these versatile stencils direct from the hand of Valerie Sjodin. 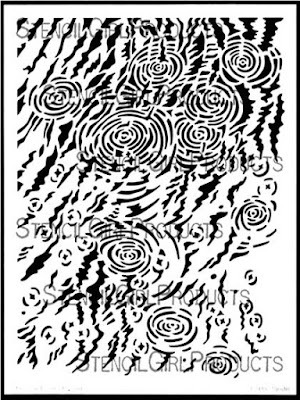 Let your imagination ripple outward! Stone & Pebble Tilings create repeated patterns, layers, paths, stacks of stones in your artwork. 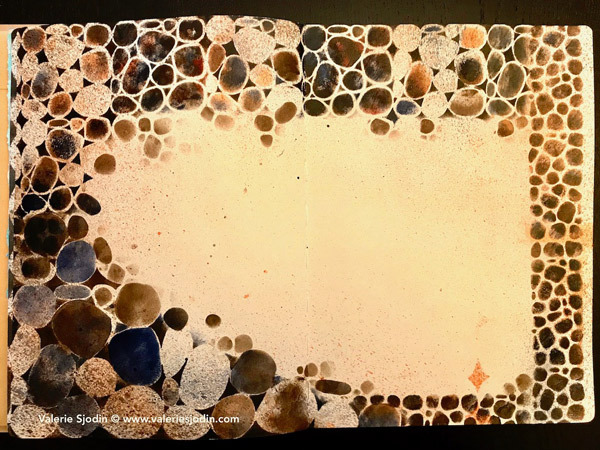 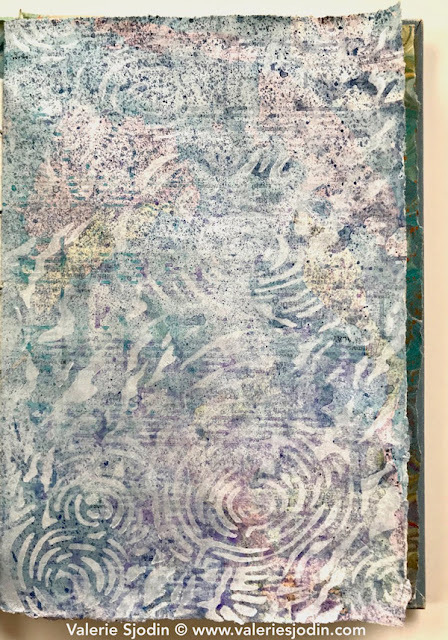 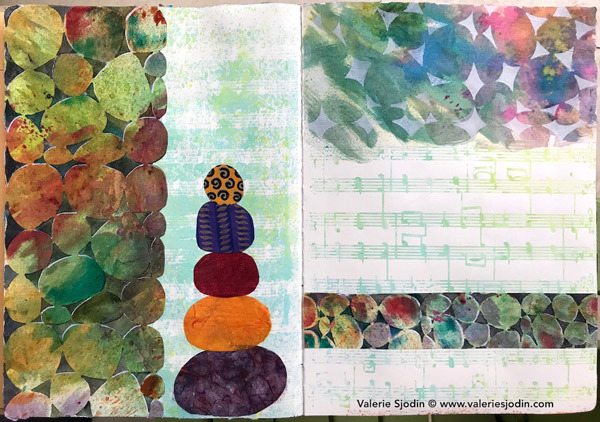 If you have stacks of painted papers and wonder what to do with them, watch Valerie’s video and see how she makes a scrap painted paper into a beautiful collage paper. 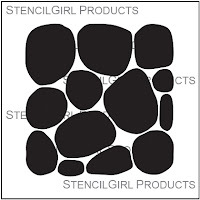 The largest of the tilings overlays perfectly with the 6"x6” Stones Tiling Stencil S677. 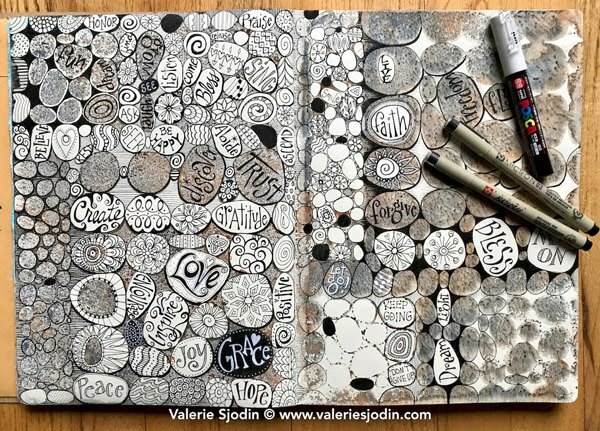 Here is a delightful idea if making doodles and lettering pushes your happy buttons. 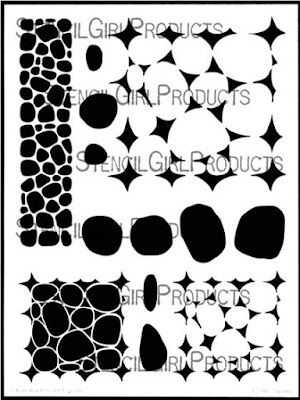 If you wish to add these stencils to your collection of art tools, click here. 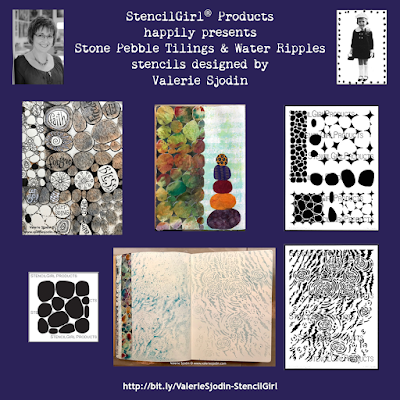 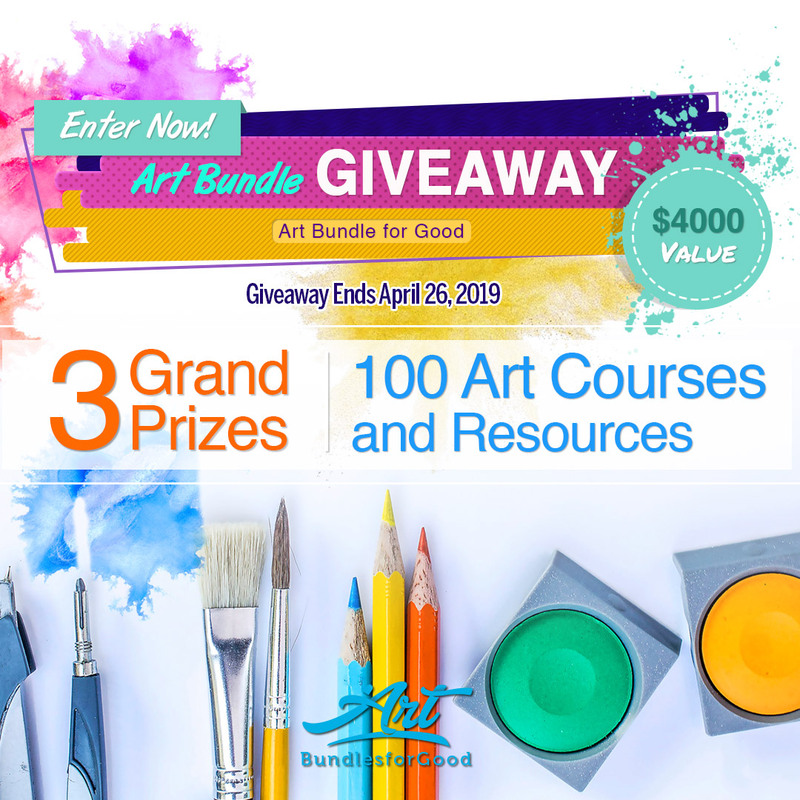 Catch Velie in action on her Visual Blessings blog. 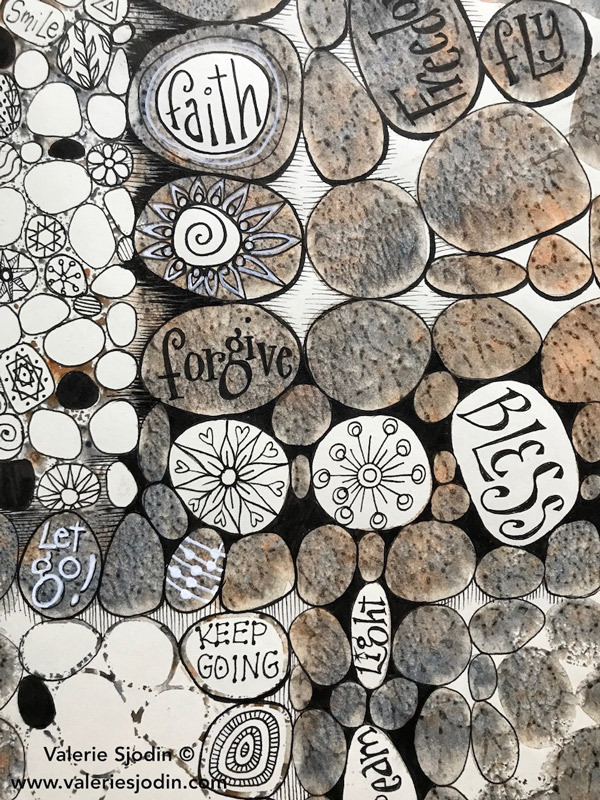 I love this stone stencil!